It is 1938, and eighteen-year-old Sidney Chambers is dancing the quickstep with Amanda Kendall at her brother Robert’s birthday party at the Caledonian Club. No one can believe, on this golden evening, that there could ever be another war. Returning to London seven years later, Sidney has gained a Military Cross and lost his best friend on the battlefields of Italy. The carefree youth that he and his friends were promised has been blown apart, just like the rest of the world–and Sidney, carrying a terrible, secret guilt, must decide what to do with the rest of his life. But he has heard a call: constant, though quiet, and growing ever more persistent. To the incredulity of his family and the derision of his friends–the irrepressible actor Freddie and the beautiful, vivacious Amanda–Sidney must now negotiate his path to God: the course of which, much like true love, never runs smooth. The Road to Grantchester will delight new and old fans alike and finally tell the touching, engaging, and surprising origin story of the Grantchester Mysteries’ beloved archdeacon. 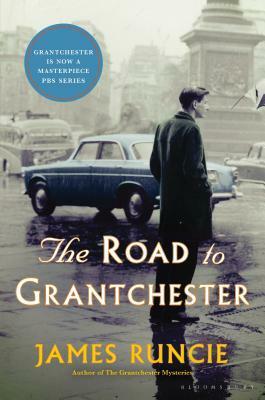 Having read most of the Grantchester Mystery series this was a must read book, the one that tells how it all began. The year is 1938 and Sidney Chambers at 18 years old has his whole life to look forward to. Amanda Kendall, a character that is constant in future novels is as majestic and captivating as ever, that together seem even then to sit on a delicate balance as to where their special relationship should go. Only a year after Sidney and his best friend Robert, who is Amanda’s brother, set off to war with a group of friends that have been ill prepared for the reality that they are thrown into. James Runcie pulls no punches with his descriptions of the trenches and the maiming and ultimate death of so many of these young men, including Robert. Now Sidney on his return has to face Amanda and her parents with the details of how he died. This is such a hard-hitting chapter to read as Roberts’s mother needs to know that her son didn’t suffer. Each question Sidney answers truthfully in his own mind before giving Robert’s mother a much altered version because if he didn’t he knows she would be a broken woman. There is one thing that he doesn’t reveal, a secret only he has been shouldering since it happened. Amanda is a confident woman who gives Sidney so many opportunities to declare his love for her but he has found a new love, one of the church. A shocking choice for his family and friends at first. Sidney Chambers is a superb character that has a sort of little boy innocence about him but at the same time he connects with people at all levels no matter who they are. Before his final commitment to the church he has to tell someone his secret, one that could have huge personal costs to him and his future. It doesn’t really matter which way round you read this book, be it before or after this already very established Grantchester series. Either way this is a truly splendid addition that is a must read for any current and future readers. 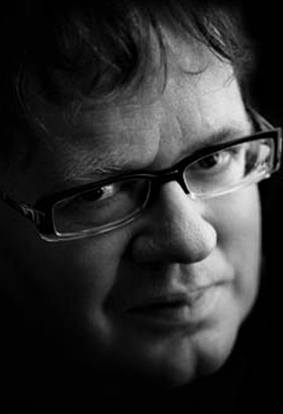 James Runcie is a British novelist, documentary film-maker, television producer, theatre director, and Artistic Director of the Bath Literature Festival.